Mind Genomics is a cognitive science that understands how consumers view products, services, and experiences. Mind Genomics is used primarily for innovation, new product development, product refinement, positioning, and communications messaging. Mind Genomics has been used to create billion dollar brands. 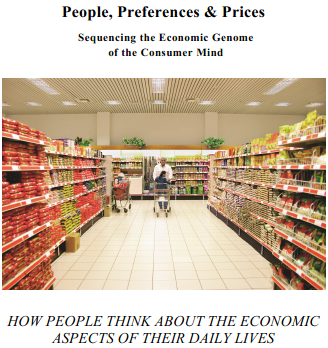 The paper below introduces mind genomics and cognitive economics, and explains the methodology. The subject of the paper is “artisanal bread,” but the mechanics for every study are exactly the same. Giving choices is one thing … but no guarantor of marketing success. We need to know why a person chooses—or doesn’t choose—a marketer’s offering. 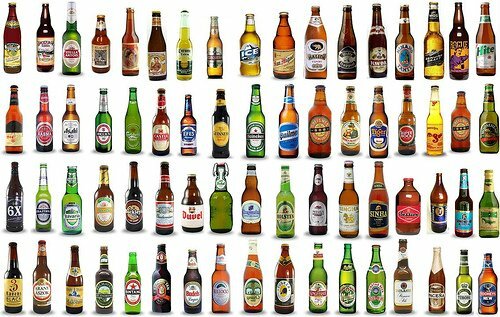 Millennials … Why Do They Prefer One Beer—And Buy One Beer—Over Another When There are So Many to Choose From? That’s the question my colleagues Howard Moskowitz, Kimmy Lee, and Helena Bollini will answer through two cognitive economics studies that are now in the field: one on microbrews, the other on macrobrews—the big-company “golden suds” lager beer like Budweiser, Miller, and Coors that is the most popular style worldwide. 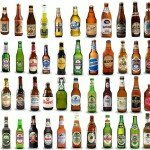 When thinking about Millennials and beer, the issue is this: Generations may shape demand for beer, but they don’t buy beer: Individuals buy beer … one bottle, one draft, one six-pack, or one case or keg at a time. And individuals differ from one another. People may look alike on the outside and share some common traits, but they differ on the inside—the ideas they hold, what interests them, and what motivates them to buy. Discovering those “inside differences” and then exploiting them for product development, innovation, marketing, and sales are keys to brand growth and profitability. Hence, our research. Identifying the different mindsets MIllennials hold toward microbrews and nationally distributed macrobrew lagers like Budweiser, Coors, and Miller? Within each mindset, specifying which elements of beer increase interest, decrease interest, or have no effect … and by what amount? In dollars and cents, what is a Millennial willing to to pay for what interests them in microbrews or macrobrews? What are the narratives that each mindset has towards microbrews or macrobrew lagers? Guided by the narratives … What does a brand say—and who does it say it to—to bolster a brand’s chances for success in the market. Approaches a beer marketer can take to accurately assign any single Millennial or millions of Millennials to a mindset segment using an algorithm produced by inputs from the research … enabling them to target individuals with personalized, tailoring messaging? The elements included in the two studies are in these areas: style, taste, appearance, mouthfeel, finish, food, origin, packaging, presentation, promotion, and emotions. Our research captures Millennial demographics; their attitudes towards beer and beer occasions; their social media use regarding beer; and patterns of consumption. The data will be analyzed and cross-tabulated with the mindset data. 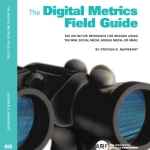 The book will be available as an e-book during Q3 of 2015. This title is one volume in our series Millennials, Mindsets, and Money. 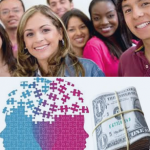 Millennials, Mindsets, and Money (M3) is a series of books developed by me and Howard Moskowitz, with contributions from colleagues in the business world and academia. M3 researches categories that are essential to the consumer economy from the Millennial perspective. Each book tackles an area and answers the six questions above. Our initiative primarily concerns advertised categories that are part of the everyday experience of Millennials. The “Ideas from Outside” conference Moskowitz and I spoke at opened with a panel discussion moderated by Sari Katz, Partner Manager of YouTube Canada. She assembled a panel of four very popular Canadian YouTubers. I needn’t mention them by name. One had a cooking show, two were long-time friends who created comedy programs, and the fourth was a director and producer who has his own show and creates videos for others, brands included. They appeared similar on the outside: mid-to-late 20s, backgrounds in communications arts, especially film and video. They aim to build media brands and work with advertisers, and they are aggressively metrics-driven in their decision-making. You might think that they would be alike because we typically assume that people who share characteristics are alike. That’s the logic underlying almost all segmentation. 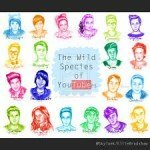 But when we listened closely to them talk about their viewers, subscribers, ad clients, and how they went about building their businesses and brands … they were remarkably different … on the inside: There were three unique mindsets up there, We called them the Marketer, the Storytellers, and the Rugged Individualist. Interested in learning about Mind Genomics and Cognitive Economics? Howard Moskowitz and I are sharing our Dropbox stuffed with books (over 20), peer reviewed articles, original research, and presentations for free and without any obligation. 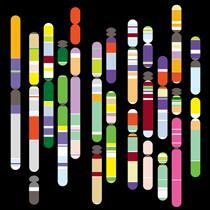 Access the Mind Genomics Dropbox. Howard Moskowitz created a psychological science called Mind Genomics. 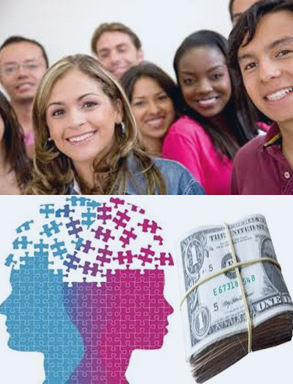 Jointly we are developing a specialization within Mind Genomics called Cognitive Economics. We are giving you open access to our library of books, peer-reviewed studies, original research, and presentations without cost or obligation. It only takes a click on the preceding link. Why? This work has created billion dollar brands, and we would like it to benefit you, your brands, and bring happiness to your prospects and customers. Watch Malcolm Gladwell’s very popular TED Talk for a quick primer on Mind Genomics, Howard’s invention of chunky tomato sauce for Prego, and bringing happiness to people through a plate of spaghetti. Understand consumers’ mindsets towards a product category, brand, or experience. Discover which messages, and which combinations of messages, drive interest up or down, and by how much … and compare them across mindsets. Compute the dollar value of each message or mixture, to uncover the trade-offs that people make. A message that raises interest may not increase the perception of value. Create or modify products to meet consumer needs and interests, and advertising or communications that are proven to increases sales. I will be writing about our work weekly from here on out, probably on Tuesdays. Please feel free to get in touch with me anytime about this work, via email or by filling out the contact form. The library is a treasure trove. Enjoy it! For way too long, innovation was treated primarily as a creative art or gathering of ideas. Who hasn’t participated in brainstorming sessions, art classes, tours of successful companies … anything to get us out of our mental boxes and free up our creativity? The sad result remains that new product success remains stuck at about 20%. But if innovation and new products are the lifeblood for business growth, this percentage must go higher. More of the same has not done it, or will do it. This conference is the first I’m aware of that focuses on cognition and innovation, which is an area that I explore using the theory of mind genomics, the method of Rule Developing Experimentation, and the research discipline called cognitive economics. This one should be interesting.